Ariana Grande has vastly become one of my favourite singers, her music is so different than anybody else I listen to but yet I'd still class her in the pop category. Her voice is amazing and I have been adoring the latest album. 'My Everything' comes with 12 songs while the Deluxe (obviously I got that one) comes with 15 songs. What I love about this album, apart from all the songs being amazing it consists of an 'intro' which is about a minute long and its just a little mashup of a few of the songs almost like a preview and I think it's just such a nice little feature to the album. On this album she collabed with people such as Iggy Azalea, Big Sean and Zedd. I absolutely adore every single song but my favourite at the moment is definitely 'One Last Time', this past week I've just had it on repeat. 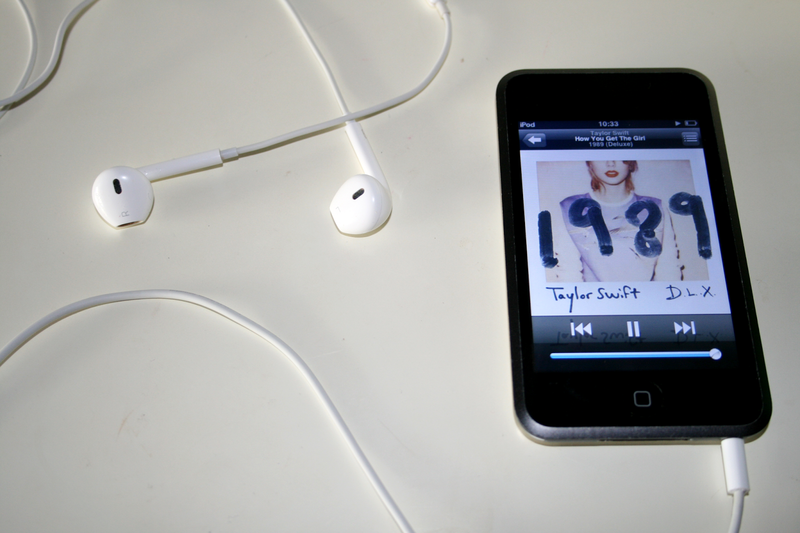 My all time favourite also released her new album 1989. Taylor Swift has been my absolute favourite singer since 2008 I adore everything about her and her music. Of course I was super excited when this album finally released and obviously it did not disappoint me in anyway. Rather than the country sound she has to her music this is totally just a pop sound album and I adore every single song and lyric. The album comes with 13 songs, while the Deluxe version comes with 19 songs (again I got the Deluxe). I have yet to pick up the Deluxe CD version as inside every cd there are 13 polaroids out of 64 in each cd which I think is such a cute idea to have them to hang up on your wall. I have been listening to this album on repeat since release date and I can't pick one favourite song because they are all so amazing. I have been loving Blank Space, I Know Places and Wonderland. (I absolutely freaked out when hearing Wonderland because Alice in Wonderland is one of my favourite movies) Taylor has announced her 1989 tour dates and sadly just like the Red tour Ireland isn't on it which breaks my heart slightly. What albums have you been loving lately? This week my all-time favourite band, Paramore, released the deluxe version of their self-titled album so I've been listening to the extra songs from that quite a lot. I've also been in love with One Direction's FOUR - I love the sound and the lyrics on their new album!